This months Financial Planning Tip of the month is a reminder of another important account Title issue ! Trusts, once thought only for aristocrats have become much more mainstream. They are easy to set up and easy to change. Revocable trusts, the most common, are great planning tools. The revocable trust, while providing little creditor protection and virtually no federal estate tax benefits, in many cases is a great solution for organization and a way around a hefty probate cost state. Give us a call if you have any confusion/questions! 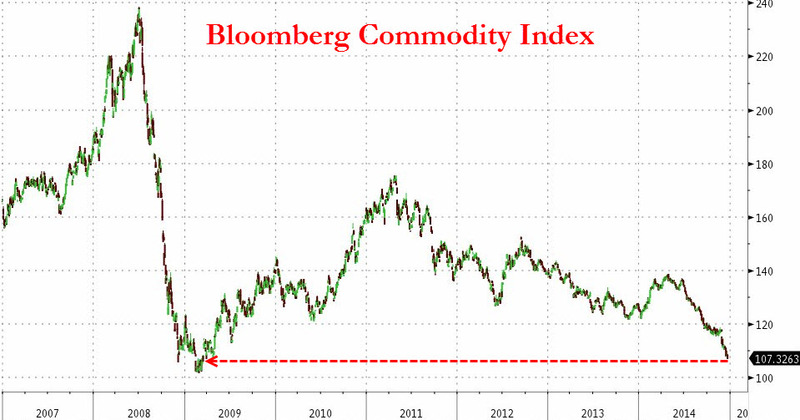 Not only did this broad-based commodity index take out the 2008/9 lows, but it dropped to a never seen before low ! Certainly could go lower. Hated by many – Zig when others Zag! In the endeavor to find assets that are not frothy, a never seen before, all time low, MIGHT be one. Never go all in of course — but does not look frothy! This entry was posted in Economy, General Financial Planning, Investing/Financial Planning, Market Comments, Video and tagged Bloomberg Commodities, Commodities, Non Probate, Probate, Revocable Living Trust. Bookmark the permalink.